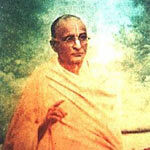 Upakhyane Upadesa, instructive stories from Srila Bhaktisiddhanta Sarasvati Thakura. The reason why they appear here is that Suhotra Maharaja liked these stories very much and often narrated them in his lectures, especially in the middle 90’s, after they were available in the English language for the first time. 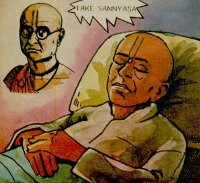 Third and fourth are two rare comics on Srila Prabhupada’s life: First is a classic published by Bala Books in the 1980’s – The Life Story of Swami Prabhupada. And the second is Biography of Srila Prabhupada in pictures, based on Srila Prabhupada Lilamrita by Satsvarupa dasa Goswami. It was published by the Bhaktivedanta Institute Bombay, also from the 80’s.